Every Wednesday night, the Dubai Autodrome parks its race cars and makes way for Train Dubai. During this time, everyone is welcome to use the track to cycle, run, walk or even rollerblade. 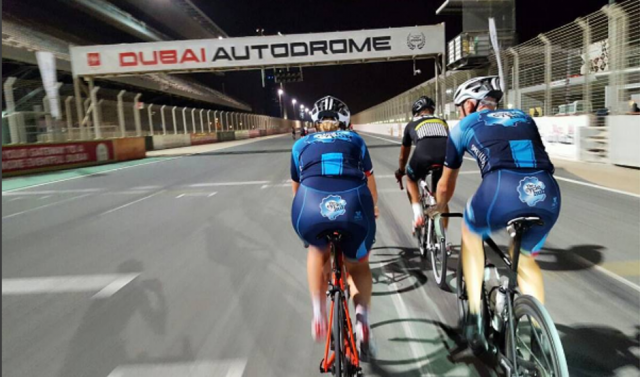 Definitely one of the coolest cycling tracks in Dubai! For those who don’t own bikes, you can rent one at the Dubai Autodrome from Revolution Cycles Dubai – however there are limited bikes available. One of the prettier cycling tracks in Dubai, Al Barsha Pond Park is a great place to cycle with a view! The cycling path takes you through lots of greenery, birds flying about and insane sunset views as you loop around the pond. Bikes are available for rent from Byky, right at the entrance of the park. The famous Al Qudra cycle track is a little far out, but well worth the drive. This is where the more serious cyclists go to train, mainly because of the 86km long track, however cyclists of all levels are welcome! 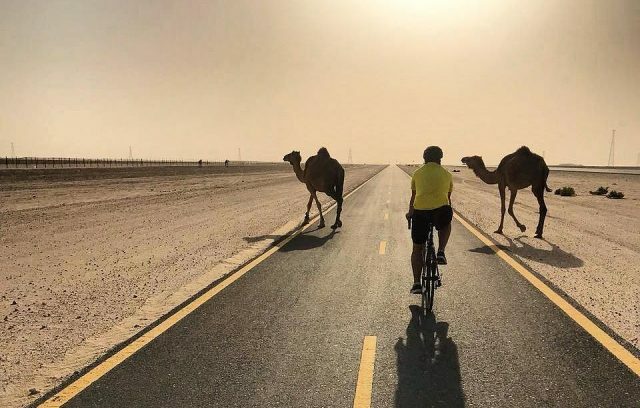 Al Qudra is the best place to go cycling in Dubai if you fancy a long ride, desert views, and the chance to spot some Arabian wildlife during your ride. Get your own bike along, or rent one out for the day from Trek Bikes – located at the Al Qudra cycle track.